Cleaning your quartz countertops doesn’t have to be a chore. In fact it can be far less work than you initially thought. Simply use a damp microfibre cloth with warm soapy water to clean up any initial spills. This will help prevent any spills or dirt from being absorbed into the stone. Avoid using any highly acidic or bleach based cleaning products as these can often damage the stone surface. If any stubborn stains do occur, you can mix together your own quartz cleaning solution by mixing together isopropyl alcohol and dish detergent. Mix together a 50:50 solution of water and 91% isopropyl alcohol into a spray bottle. Spray onto the stone surface and allow to sit for 5 minutes, then rinse with water and wipe down with a clean microfibre cloth. This will remove excess soapy water and periodically disinfect your quartz countertops, restoring their natural shine. 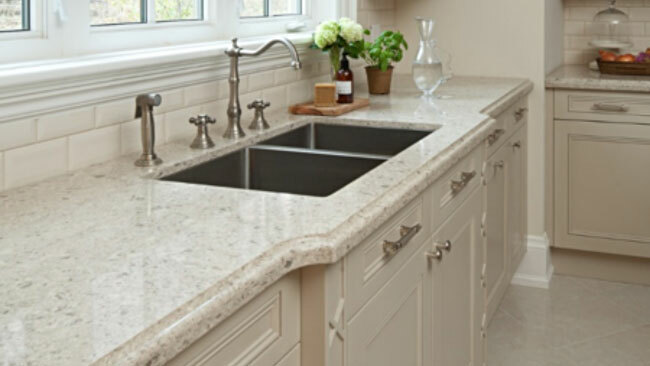 Unlike other natural stones such as granite, quartz stone is not completely heat resistant and can crack or chip if exposed to heat for long periods of time. To avoid this use special trivets, or place mats when placing hot pots and pans on to the surface. Also, whilst quartz countertops are highly scratch resistant we would recommend using cutting boards as an extra precaution when preparing food on your worktops.